Sterling Silver Small Single Honeycomb. 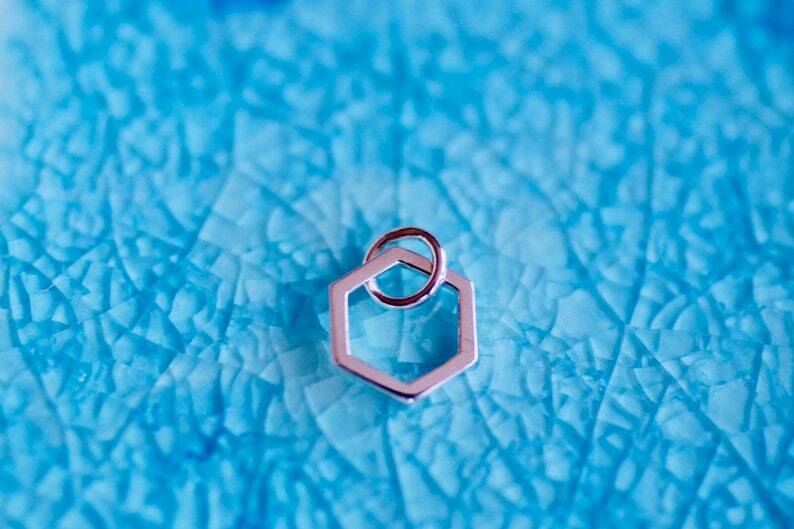 A small, open, hexagonal charm. A hexagon is a shape made of six sides, totaling 720 degrees. The meaning of six includes communication, interfacing, balance, equality, and union. This geometric shape is one found occurring naturally, and in a beehive, displays the bee's hard working and repetitive nature. Measures 12mm and comes in a mini keepsake box.